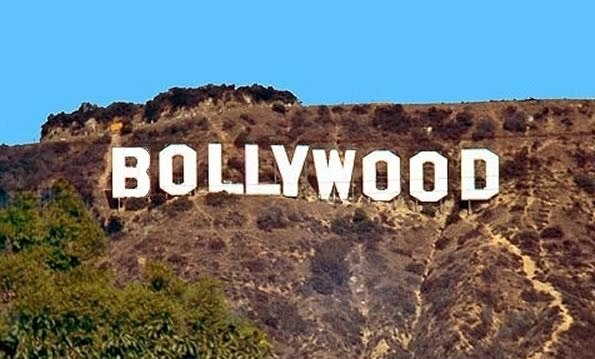 Over the last couple of years I have noticed that the hype around Bollywood is dying down and Newcomers are popping-up in the industry on an almost weekly basis. Let's examine some reasons as to why this may be happening. Shahrukh Khan's last film was the box office flop My Name Is Khan (released on Feb. 12, 2010) it'll be more than a year and a half before his next film, Ra.One, releases on Oct. 25, 2011. He hasn't had a hit film since Rab Ne Bana Di Jodi (December 12, 2008). Hrithik Roshan's last three films: Luck By Chance (January 30, 2009), Kites (May 21, 2010) and Guzaarish (November 19, 2010) were box office disaster. In fact, he hasn't had a hit in the last 5 years. His next is Zindagi Na Milegi Dobara which is releasing on July 15, 2011. Akshay Kumar, once considered a box office hero and only one of 2 top stars doing more than 3 films a year, Akshay has had a little bad luck with 12 flops in the last 3 years, perhaps that's why he has taken a break from Bollywood and his next is the Canadian film Breakaway (September 30, 2011). Akshay's last successful film was Singh Is Kinng (August 8, 2008) - Even Housefull (April 30, 2010) which many consider a hit was, in fact, a flop because the distributors lost a lot of money as with most hindi films only the producers made a profit because they got their money from the distributors prior to the films release, but until distributors are in the green a film can't be considered a hit. Saif Ali Khan was last seen almost 2 years ago in Karan Johar's flop Kurbaan (November 20, 2009) his next Aarakshan is set to release on August 12, 2011 which will be followed by his home production Agent Vinod in Mid-December 2011. FYI, his last 6 films have been flops. Ajay Devgn's last 2 films may not have set the box office on fire but he has had a decent run - possibly the only bollywood actor with 12 hits in the last 5 years. 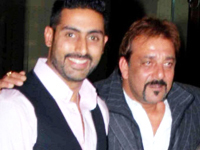 His next Singham will be released on July 22, 2011 followed by Rascals which is set to release on October 6, 2011. Aamir Khan's last film was Dhobi Ghat (January 21, 2011) and before that it was 3 Idiots in 2009, his next film will be released in January 2012. Aamir has been on a lucky streak for the last 5 years, with all his films proving to be successful at the box office. Abhishek Bachchan's last 4 releases have been super duper flops to say the least. Since Guru (January 12, 2007) junior Bachchan has had 12 flops and only 2 hits. We last saw him in Dum Maaro Dum (April 22, 2011) his next Players is releasing on December 23, 2011 followed by Dhoom 3 in December 2012. Post Lage Raho Munna Bhai (September 1, 2006), Sanjay Dutt, has had 20 flops and only 1 hit in the last 5 years. He was last seen in last months flop Double Dhamaal (June 24, 2011) and will hit the screens again on August 19, 2011 in Chatur Singh Two Star. Ranbir Kapoor's last film Anjaana Anjaani (October 1, 2010) was a super flop and his next one Rockstar doesn't arrive till September 9, 2011. Considered the next superstar by many industrywala's, this young lad has a lot riding on his shoulders. Salman Khan's last two films, Dabangg (September 10, 2010) and Ready (June 3, 2011) have been super hits, but it wasn't long before that when he too had a string of flops - to be exact 10 flops and 2 hits in the 3 years before Dabangg. His next Bodyguard, a surefire hit, will release on August 31, 2011. With the top stars of the country flopping at the box office film after film for the last five years (with the exception of Aamir Khan) the producers had no choice but to look elsewhere. Especially when the likes of Shahrukh Khan, Saif Ali Khan, Abhishek Bachchan Hrithik Roshan, Akshay Kumar, Ranbir Kapoor and Aamir Khan (argubly the country's top stars) are only doing films for their home productions or their close friends and have no dates for other prominent studios. 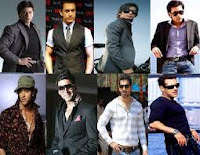 Let's take the top 10 stars of the country (Aamir Khan, Hrithik Roshan, Salman Khan, Shahrukh Khan, Ajay Devgan, Ranbir Kapoor, Sanjay Dutt, Akshay Kumar, Saif Ali Khan, Abhishek Bachchan - I'm not including the females because they usually do films with these stars), currently most are doing 1 film per year. This mean very few of their films are coming out. If all these actors do 1 film per year that's only 10 hindi films out of say 100 released each year. And for the other 90%, filmmakers need secondary stars or newcomers. A few years ago, before the corporates started throwing ridiculous sums of money their way and raised their salaries from a few lakhs to a few crores, the top 10 stars on average did 5 films per year. That meant they accounted for 50% of the Hindi film released. Secondary stars like Imran Khan, Shahid Kapur, Anil Kapoor, John Abraham, Amitabh Bachchan, R Madhavan, Arjun Rampal, Sharman Joshi, Riteish Deshmukh, Akshaye Khanna, Fardeen Khan, Shreyas Talpade, Neil Nitin Mukesh, Jimmy Shergill, Zayed Khan, Farhan Akhtar and the Deols starred in all remaining productions (which sometimes include female oriented subjects starring Priyanka Chopra, Rani Mukherjee, Aishwarya Rai, etc.). Now, with close to 40% of film left behind by these top stars producers have no choice but to approach newcomers since the secondary actors are still busy with their 50%. Since the number of films produced each year is on the rise and the number of top stars remains stationary it's a no-brainer that producers look towards new talent. But in order for films to be successful there needs to be less films produced and more than one film a year by the top 10 stars so that they can last more than a week at the cinema hall. With less films the quality of films produced will also increase and the stories will get better or at least the bad ones will go away making the remaining few look good.